“Priceless” is a monolithic campaign, sustaining 17 years of timeless relevance. The strategy stems from a simple, yet broadly applicable truth: you can’t buy emotions, but MasterCard helps set the stage for inevitable “priceless” moments that make all the little purchases add up to something greater. Compared to competing credit cards companies like Visa, Discover and Amex, MasterCard is most closely linked to the American Dream, the opportunity of possibilities. The brand speaks to the adult middle class, who strives for success, values shared moments, and takes pride in their appreciation for experiences over material wealth. That said, MasterCard owners still expect the best money can buy, but care less about the prestige of their credit card, and more about their card’s ability to offer them unforgettable memories. The “priceless” campaign works because the word “priceless” says so much in two syllables. It means a spontaneous, genuine, remarkable, yet fleeting memory with intense share power. Today, #Priceless pools a vast array of people’s most cherished memories across the digital space. The word “priceless” also demands a moment of reflection and gratitude, which might seem ironic for a credit card company, especially in 1997, when the campaign first aired on TV. However, it’s the campaign’s adaptive quality that made “priceless” go viral well before social media existed. The campaign taps into a human truth that can be reinterpreted to speak to a myriad of customized audiences. 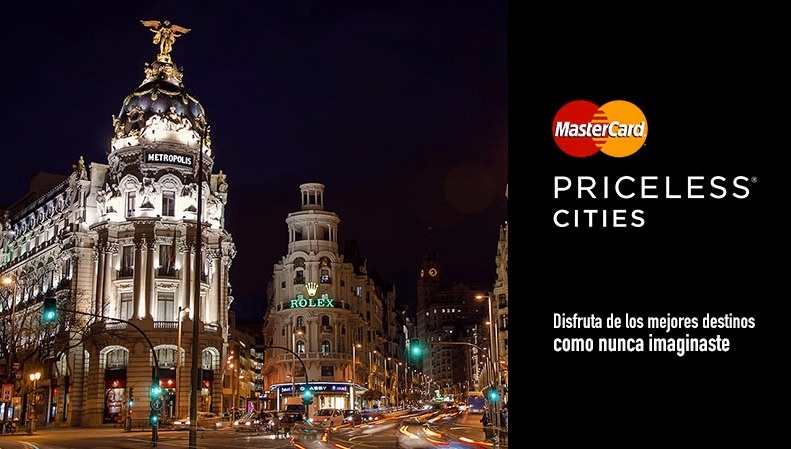 For instance, after identifying a strong correlation between affluent customers and travel habits, MasterCard launched “priceless cities” to offer unique rewards specifically for their wanderlust customers. In one instance, MasterCard owners who used their card to buy tickets to the Broadway show “Rock of Ages,” didn’t just receive a discount, but instead the unique opportunity to rehearse with the cast and be a part of the live performance. In spring of 2014, MasterCard launched “priceless surprises” in Canada and the US to offer “unexpected upgrades to better seats at an NHL game, or front-row access alongside models…at a fashion show” (1). In short, the “priceless” campaign brands a feeling that people have always been seeking, and articulated it into a single word. To keep the iconic campaign relevant, MasterCard must continuously evolve to reflect the culture’s current definition of “priceless,” and must also offer competitive services that tap into emerging industry trends, such as credit-rewards and mobile payment methods. ← The New York Times’ Greatest Challenge?